I have been writing since shortly after learning to read in elementary school. I had a natural passion for reading, and writing followed. Many teachers over the years told me I had writing talent and abilities. "Keep Searching For Blue Jays" is my first book, which was published and became available on June 25, 2015. I self-published it through Createspace. In 2006, my 14-year-old son, Bryan was home alone when the doorbell rang. He pried himself away from his video game, and when he answered the door, he was shot in his chest. When he turned around to get away, he was shot in the back at point-blank range with a 9 mm. When my husband and I arrived home from dinner, our house was a taped off crime scene. The police told us there had been an accident and my son had been taken via CareFlite to a local trauma hospital. Later, we would find out the person who shot my son aspired to be a notorious serial killer. Just a few days earlier he shot at an elderly couple and missed. 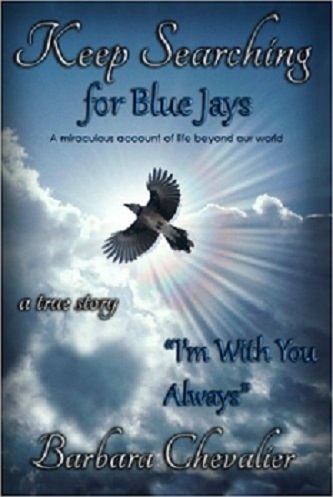 "Keep Searching For Blue Jays" is my first book published. An outline for a workbook that goes with "Keep Searching For Blue Jays" is in the works. I have started a book that will not be a series to "Keep Searching For Blue Jays" but will be related. I am unsure about future dates as this project is in the infancy stages currently. "Keep Searching For Blue Jays" is the title of my current book. This book is like a combination of "The Sixth Sense", "Heaven is For Real", "The Shack", with a true crime feel and an inspirational message. It is intense, inspiring, unbelievable, courageous and difficult to put down. Most feedback received so far is: "I read it from cover to cover in one sitting"
"I wanted to make sure I didn't miss anything so I re-read it again"
"Intense and couldn't put the book down"
As entertaining as this book is there is also a message of how to deal with issues from a positive perspective and the benefits of finding the silver lining in every situation. My family lived through many people's worst nightmare. We are stronger because of it and have a new perspective of what is important in life. You will hug your loved ones tighter and know beyond a shadow of a doubt what matters and what doesn't matter at all after reading about my family's experience. Most everything I am involved in has something to do with signs. "Cardinal Connections" (also on my keepsearchingforbluejays.com website) is my blog about signs from loved ones who have passed. My initial story of asking God for blue jays as a sign is the introductory article. 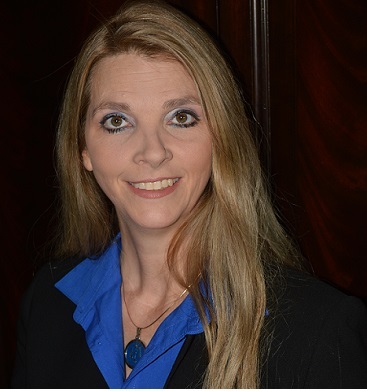 The blog is a forum that I interview others about the signs they receive whether from God or loved ones who have passed, and then write an article for their approval based on their story and input. Upon approval, the article is then published to the blog. Cardinal Connection is place for their loved one's memory to be honored. Blog Writer's Note to Author: First, let me just say how sorry I am that good people have to deal with nightmares like the one you described. You know when I first started this blog I had no idea some of the stories I would hear that writer's were inspired to write. Some are interesting and amazing, and others are just downright horrific. It also amazing me how many great stories that have been written have to be self-published, when I feel your story definitely should have been published the traditional way. So many people every day go to answer a knock at their front door, while not really thinking too much about it, but after reading this interview I can say that I will definitely be giving it a second thought. Good Luck to you with your future writing projects, and thanks for the interview. My blog is definitely more enriched because of it.